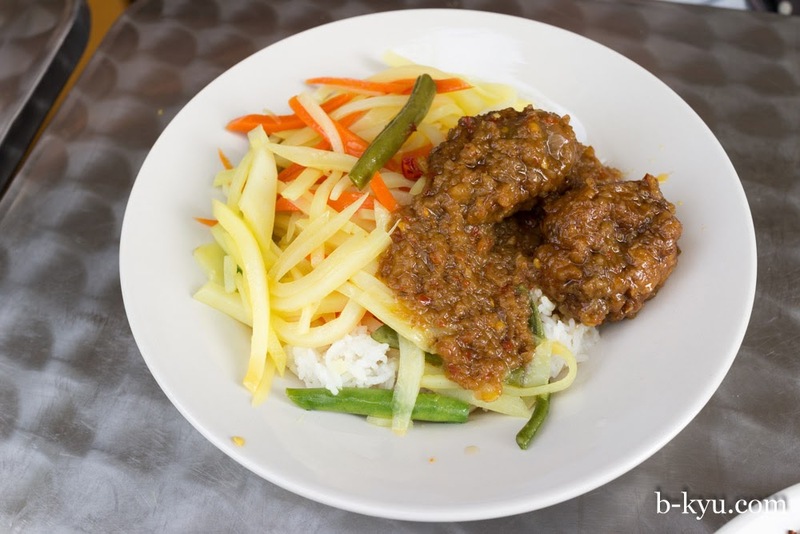 A legend among Canberra cheap eats fans, Burmese Curry Place is everything we hoped it would be. 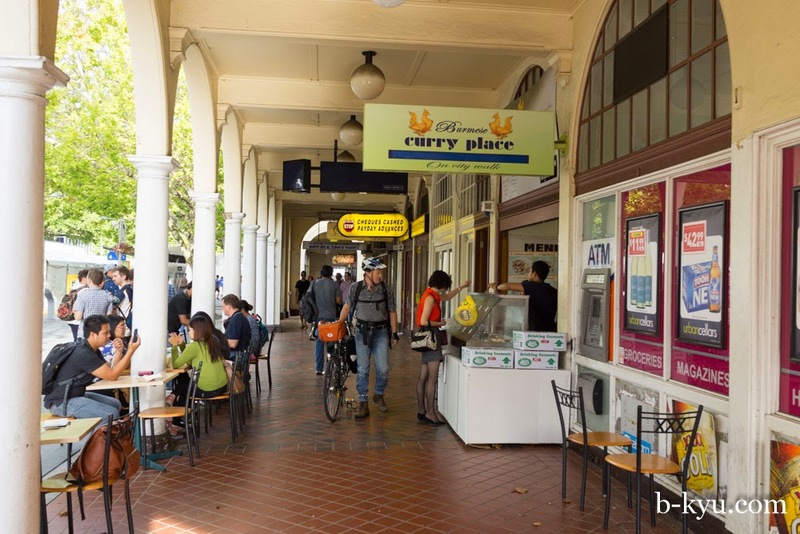 Everytime we read about great B-Kyu style places to eat in Canberra, one joint is almost always mentioned - Burmese Curry Place. We often head down to Canberra for a weekend but miss out on eating here as it's only open Monday to Friday, so we scheduled a Friday extra on our last trip just to get here. The menu is on a board at the side of the shop, with numbers corresponding to the bain-marie-of-love in the front. You just need to pick your two selections by numbers, pay your $8 and wait for your plate. Easy. Fish Cakes (No 4) is one of the most popular dishes, we had it with a shredded potato vegetarian stir fry (No 9). Let the howls of outrage ensue, most people recommended combining this with the chicken with prawns dish (No 7), but we aren't most people. The sauce on this dish really makes the selection here, and the fish cakes are so smothered they are nothing like the Thai style you would be familiar with. We are huge fans of vegetables as an extra filler, these shredded veggies make a good pairing with the heavier spicy sauce. 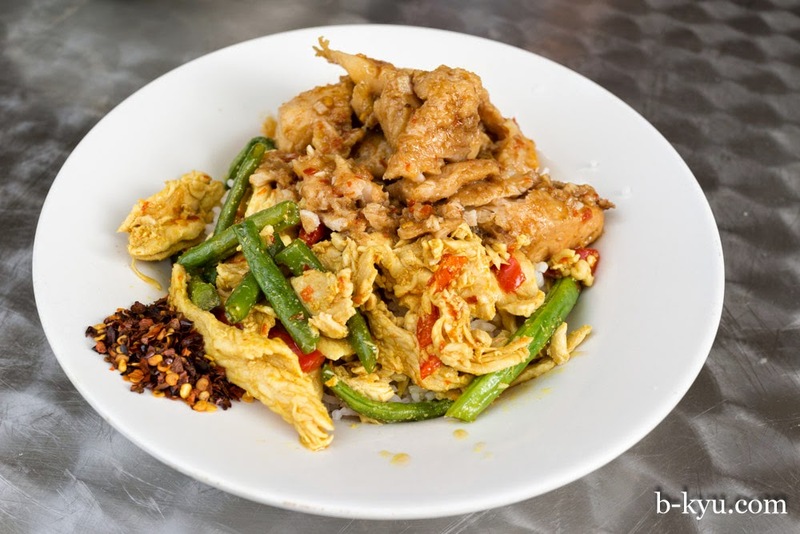 Our second choice is a chicken with green beans (8) and a fish curry (5) combo, with a generous spoonful of chilli flakes on the side. There was some fish cake envy happening so we ended up sharing across both of the plates. There's other selections available of beef and potatoes and egg curry that were eyeballed for next time. 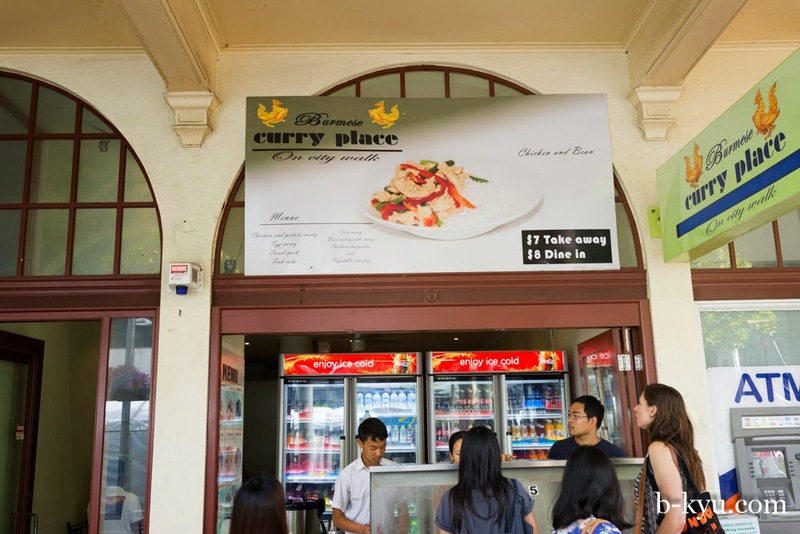 Burmese Curry Place is at 106 City Walk along Alinga Street, Civic. Good eat outside tables for watching the Canberra world walk by, they are open until about 9.00 Monday to Friday.